Navigate to System → General Setup. Navigate to System → Cert manager. Certificate data You must be logged in to see this. Navigate to VPN → OpenVPN. Afterwards click on tab Clients. Navigate to Interfaces → Assignments. 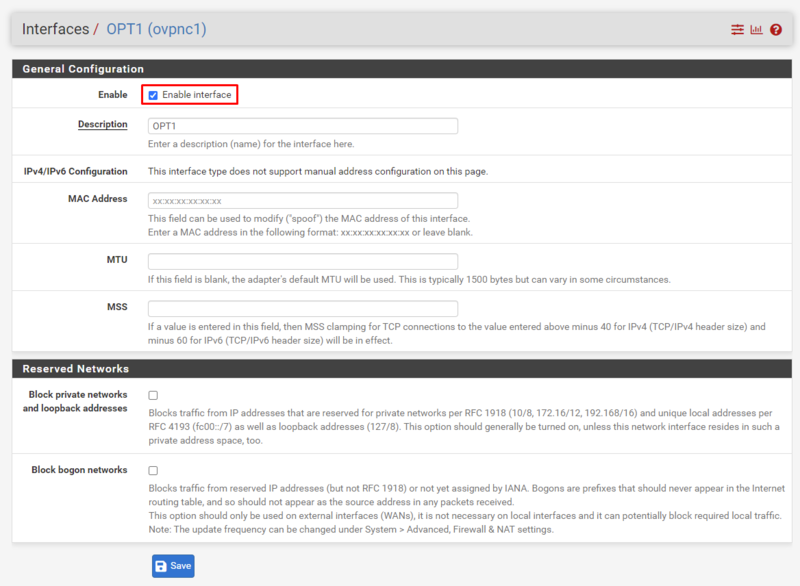 Click on the plus (+) icon to create interface ovpnc1 (OVPN client). Afterwards, click on OPT1. Select, so that Enable interface is checked. Save your changes and click on Apply changes. 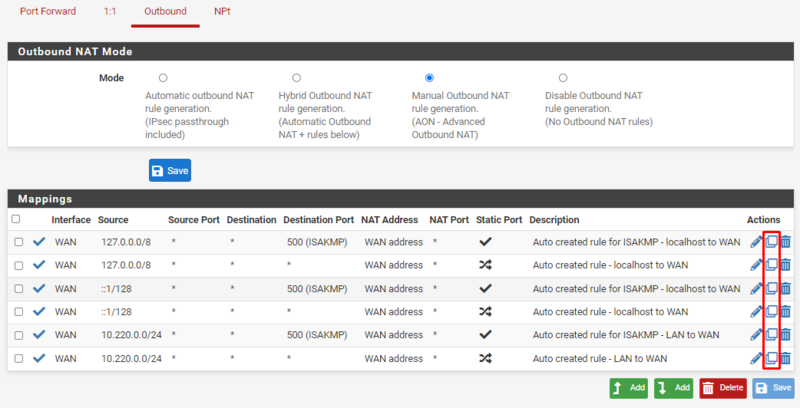 Select, so that Manual Outbound NAT rule generation (AON - Advanced Outbound NAT) is checked. Save your changes and click on Apply changes. Change Interface to OPT1. You should also alter the Description in order to clarify that the rule is for OPT1. Save your changes. 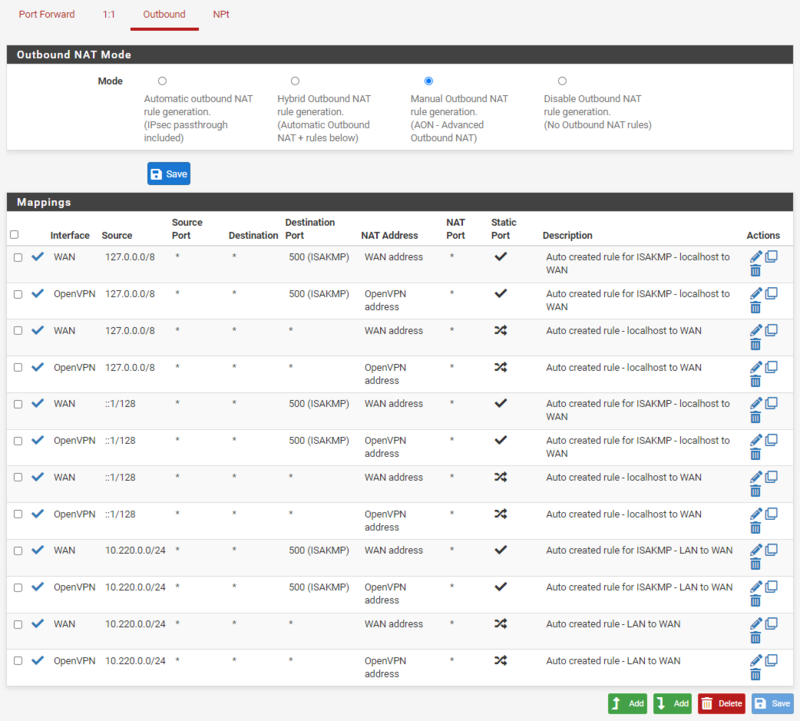 When all the rules have been duplicated, commit your changes by clicking on Apply changes. Click on the icon that looks like a Play button in order to start OpenVPN. If OpenVPN is already running, we suggest restarting it.